I had a small revelation this morning. A revelation I’ve had so many times before, but still seem to forget between “the battles”. 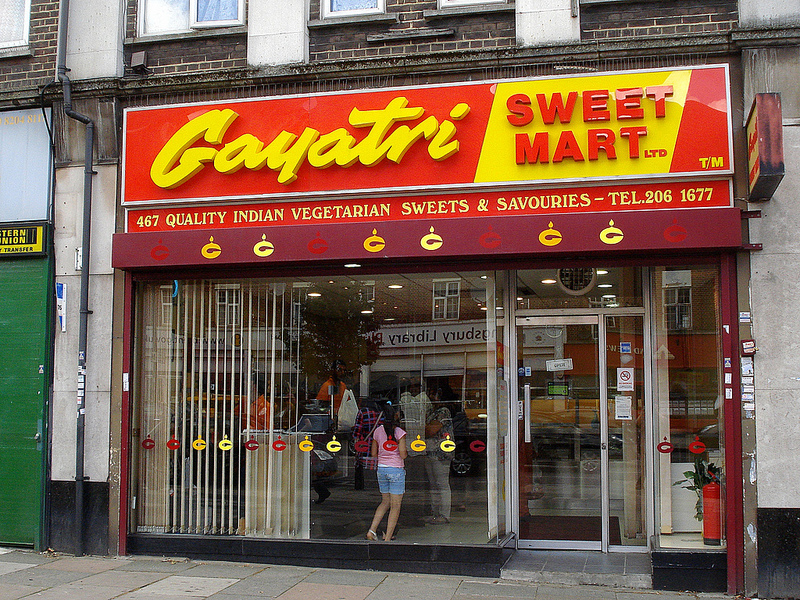 Why does it matter that I don’t want to do my gayatri? Or much service? It doesn’t matter at all, because feelings change. Oftentimes when I chant, my japa becomes all tangled up and when I try to move forward a bead I can’t. What I do then is to locate the next bead and just continue. I don’t try to fix the entanglement of the beads, I just move on. What *always* happens is that the entanglement is resolved by itself. When I continue chanting a round and more, the entanglement(s) are gone. I didn’t have to fix them, I just had to go around them. This morning I did my gayatri again. I just did it without really thinking about wether I wanted to or not. I was too sleepy for such emotional deepness. I’m not in the stage of nistha – steadiness. I’m not steady in my practices, so why do I expect to be? So I have decided that I will continue as I always has. I will do my gayatri, and if I sometimes don’t want to do it – that’s fine. Then I will not do it. Tomorrow is a new day, and I will most likely want to do it then. This entry was posted in Sadhana (Practice), Stages of devotion by Haridasi. Bookmark the permalink. Bhajana kriya is of two kinds: anishthita (unsteady) and nishthita (steady). anishthita-bhajana-kriya gradually appears in six stages: utsaha-mayi, ghana-tarala, vyudha-vikalpa, vishaya-sangara, niyamakshama, and taranga-rangini. These stages accordingly mark the devotees with their respective symptoms. Now the stage of initial enthusiasm is described. A new devotee feels like a young brahmana boy, beginning his Vedic studies, thinking, “I have become a learned scholar worthy of everyone’s praise.” He feels a temporary enthusiasm in his studies. Similarly, a (temporary) enthusiasm is seen in a devotee just beginning bhajana. This stage of bhajana-kriya is known as utsaha-mayi because a temporary enthusiasm is seen in a devotee. Now ghana-tarala is being explained. The same student, when he engages attentively in studies understanding the purports of the scriptures, he feels overjoyed. But at certain times, he becomes slack, being unable to understand the meaning of the scriptures and enjoy their taste. Similarly, the devotee sometimes practises different parts of devotion attentively, but at other times becomes slack. Being sometimes attentive (thick) and sometimes slack (thin), this stage is known as ghana-tarala. After this vyudha vikalpa is described “Shall I serve the Lord while blissfully residing at home, making my wife and children Vaishnavas, or shall I give everything up and peacefully reside in the meditation centre Sri Vrindavana, engaging in devotional practices such as sravana and kirtana without disturbance? In this way I will become successful.” Then again he thinks, “If I have to renounce, it would be better first to realize the miseries of sense enjoyment by enjoying my senses. Then I can renounce at the final stage—why should I do it now? Then again the scriptures show that ‘women are to be seen as blind wells covered with grass, they are unseen death’. Therefore one should not place one’s faith in household life, one should renounce it at once, like Maharaja Bharata, who renounced it like stool although he was still young and although wife and children are hard to give up. Other scriptural references say: ‘My mother and father are both old’ or ‘When one renounces household life before being fully satiated one only thinks of it and enters into darkness after death’. These words were spoken by the Lord Himself and that does not encourage me to renounce. Now I can somehow maintain myself, later I will duly enter into the forest and worship Krishna around the clock. 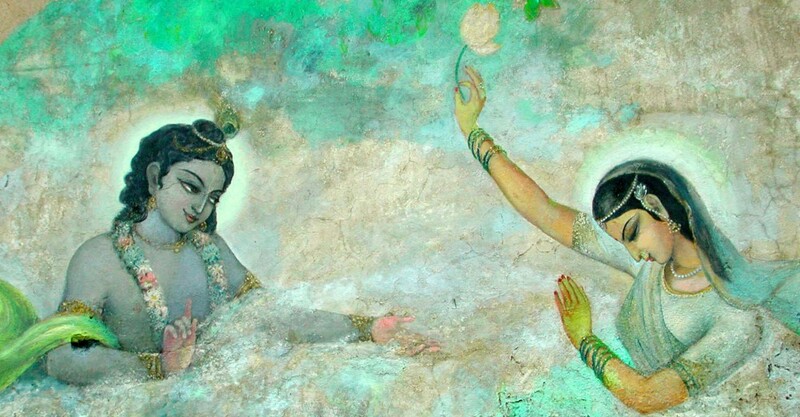 Besides, the scriptures also say that ‘Through knowledge and renunciation alone one can not arouse devotion to Krishna.” Actually devotion should not be caused by renunciation, but renunciation should be caused by devotion, for through such renunciation devotion is experienced and it is proven how renunciation is subservient to devotion. There is a popular saying: “In whatever asrama the mendicant went, he saw there was plenty to eat”, so that again creates the plan to renounce household life. Other scriptural statements again condone household life by saying: “Only as long as one is not Krishna-conscious attachments will be like thieves and the home will be like a prison.” Then again one may wonder: “Shall I do kirtana, shall I hear katha or shall I render some practical service? Or shall I practise all the items of devotion like King Ambarisha?” While doing bhajana such speculations may take place. They are called vyudha vikalpa. Now vishaya sangara is discussed. In the sastras it is said: ‘A person engrossed in sensuality is deprived of Vishnu-consciousness, just as a person going to the east can never reach something situated in the west.’ ‘According to this text of Vishnu Purana, objects of sense enjoyment opposing attachment towards the Lord are forcibly attracting me towards them and impairing my absorption in devotion. So I will take the shelter of the holy name and give them all up.’ Although he is indeed giving up some sense objects he simultaneously enjoys others. The Lord says in the Bhagavata: “The devotee who is unable to give up some sense object enjoys it while condemning himself.” Thus the devotee fights a battle or sangara with the sense objects, sometimes being defeated by them and sometimes conquering them. Such a stage of bhajana kriya is called vishaya sangara. Now the stage called niyamakshama is discussed. In this stage a devotee decides, “From today I will chant such and such a quota of japa, and will pay so many obeisances. I will also serve the devotees. I will not talk about anything unrelated with the Lord and will give up all association of persons engaged in mundane talks.” Though the devotee makes such vows every day, he is unable to always carry them out. This stage is known as niyamakshama, inability to carry out vows. The difference between vishaya-sangara and niyamakshama is that vishaya-sangara is the inability to give up sense enjoyment, while niyamakshama is the inability to carry out vows made for progress in devotion. Now the stage called taranga rangini is discussed. The very nature of bhakti is that when it exists in a devotee, everyone becomes attracted to him. Even the old sages have said, “By the attraction of the people one becomes wealthy.” Facilities like profit, respect, and distinction arising from bhakti are just weeds around the bhakti creeper that are compared to small waves on the bhakti ocean. In this stage a devotee doing bhajana seeks pleasure (ranga) arising out of these waves (taranga). Hence this stage is called taranga rangini. Wonderful, wonderful! I have the book in my bookcase so I have it beside me and will start reading it again. I love that this belief has written so detailed notes on the progress in spiritual life. It really makes me certain that this is the one, true path – again and again. I’m also into verse 2 and 3 of Sri Upadesmrita for the moment. It seems so relevant for where I am at the moment.